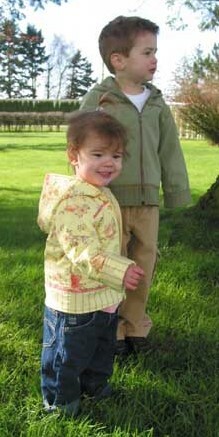 A smaller version of the ladies Hooded Jacket pattern! Has front zipper, hood, and sweet, simple design. For boys or girls depending on fabric choice. Child sizes 1-12 included, waists 19"-26".